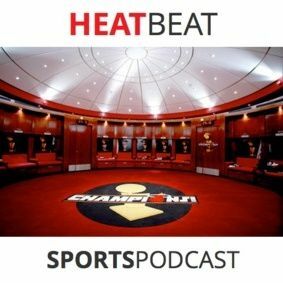 ATTENTION: Follow us on a live chat room, call-in and talk to us, or just hear what we have to say when we unveil "The Heat Beat: Pregame Cast" starting this Wednesday (1/29) versus OKC Thunder. SHOWNOTES: We discuss Greg Oden's enlightening spark and spazz as he single-handedly brought our Miami Heat out of the slump and lethargic state of mind they were in. Brian chastises Wade's four game absence, Gianni ... See More delights about some board game called "The Settlers of Catan," and we just have an overall clunky show. We did our best!